Made from titanium these aren’t you father’s hooks. 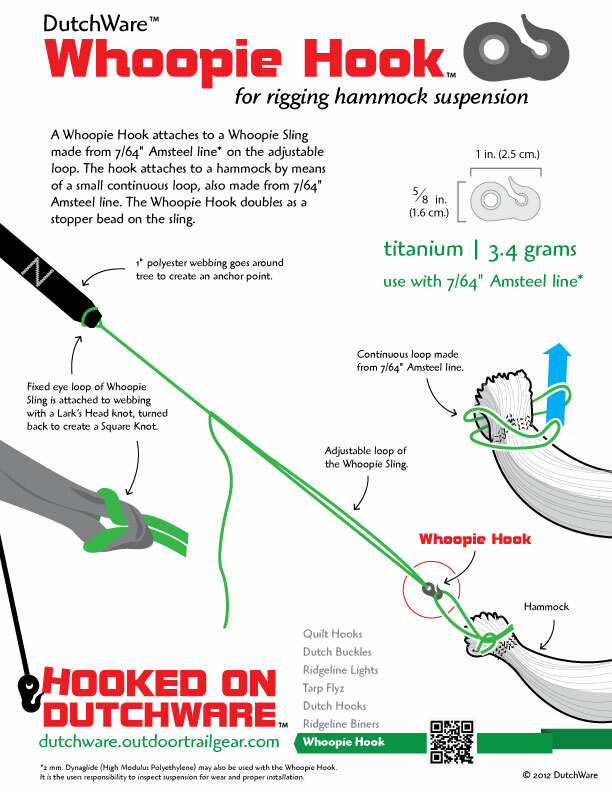 These whoopie hooks made by Dutchware Gear make it easy to connect & disconnect your hammock suspension when setting up camp. They weigh only 3.4 grams and will hold up to 1000 pounds. They replace the whoopie bead with a hook that will “snap” on to 7/64ths amsteel. They are easy to connect, easy to disconnect but will stay on until you disconnect them. 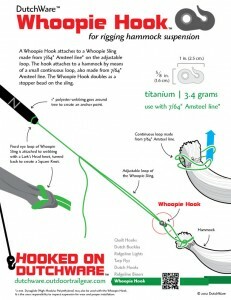 They come sold as the hardware alone and you can splice them on your whoopie sling yourself. 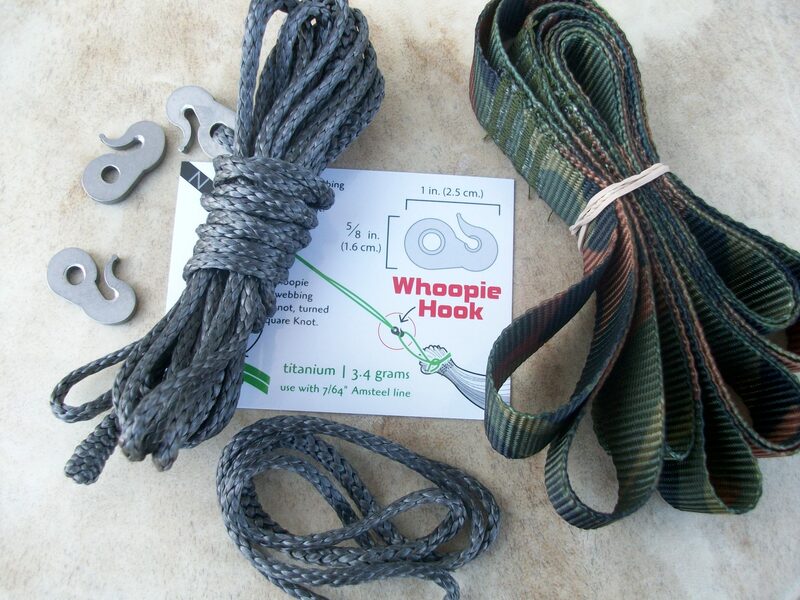 $36 – 1 Pair Whoopie Hooks + 1 Pair 6 foot whoopie slings made from black 7/64ths amsteel with the whoopie hook already spliced on. (6″ continuous loops included) Custom Colors available.